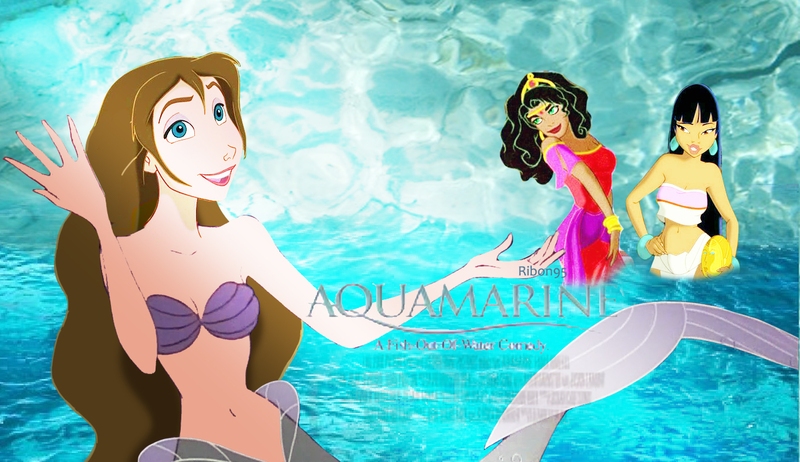 Aquamarine. . HD Wallpaper and background images in the disney crossover club tagged: disney jane esmeralda chel aquamarine. This disney crossover photo might contain agua, el nadar, nadada, nadar, and natación. Jane's so pretty with long wavy hair.